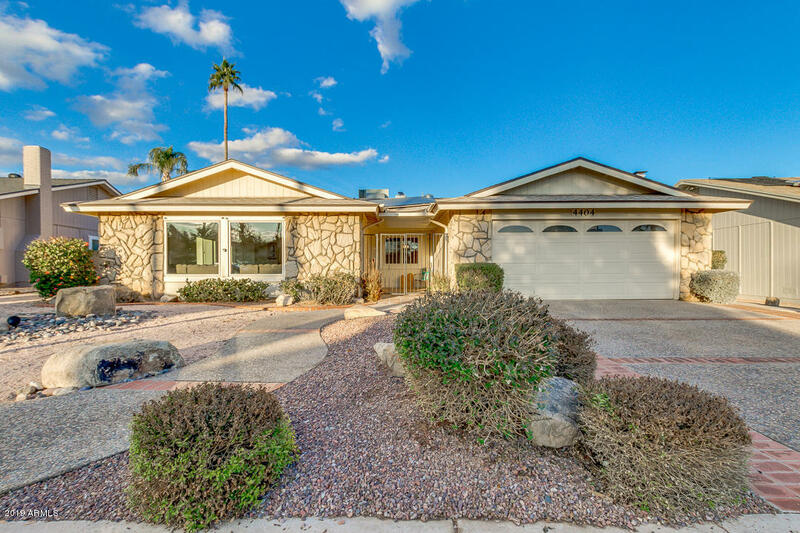 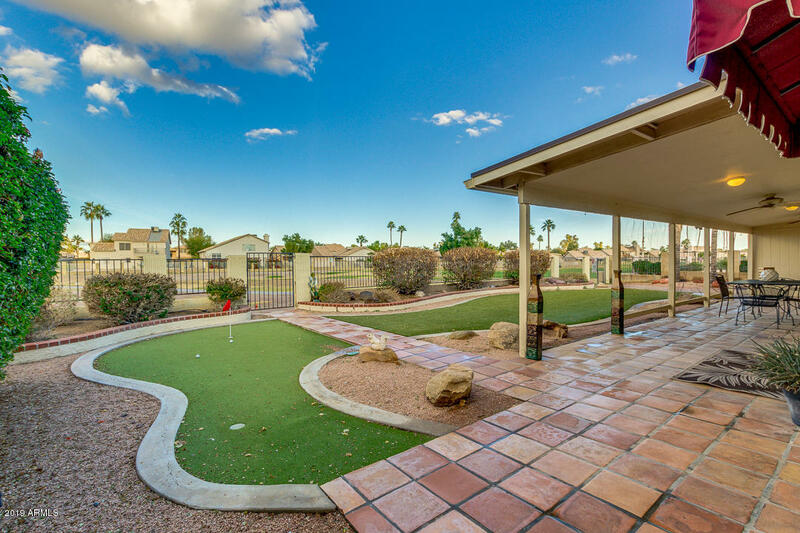 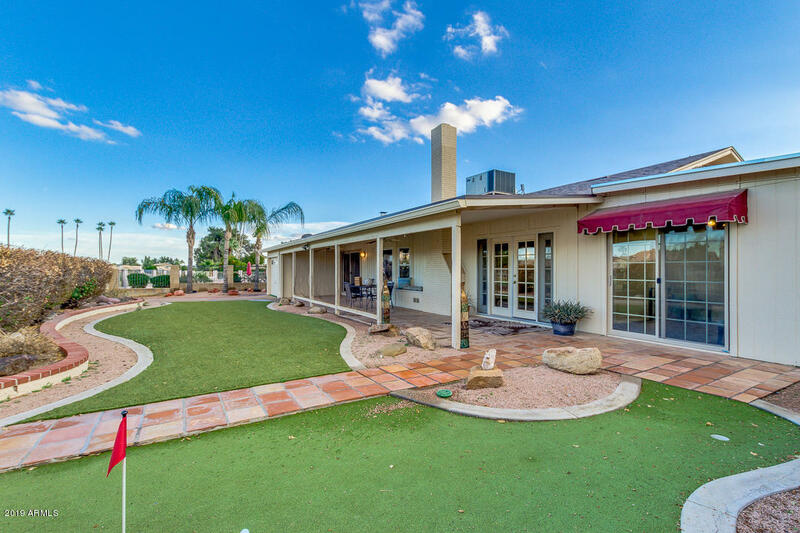 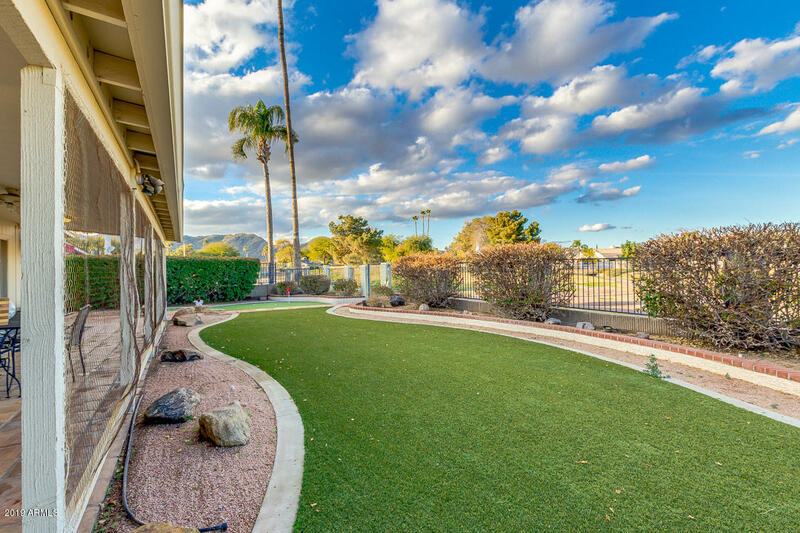 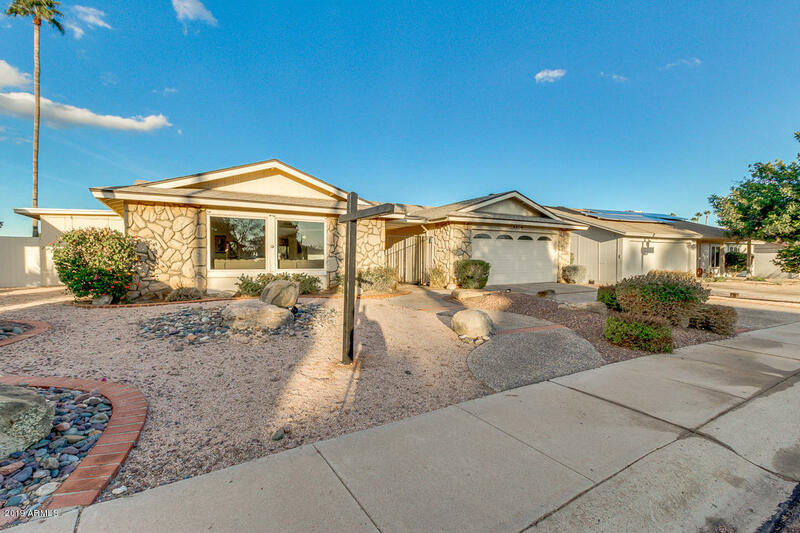 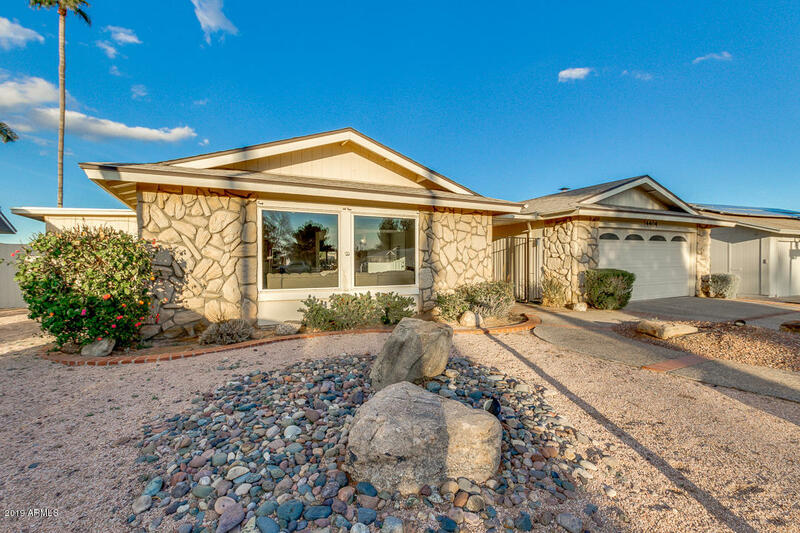 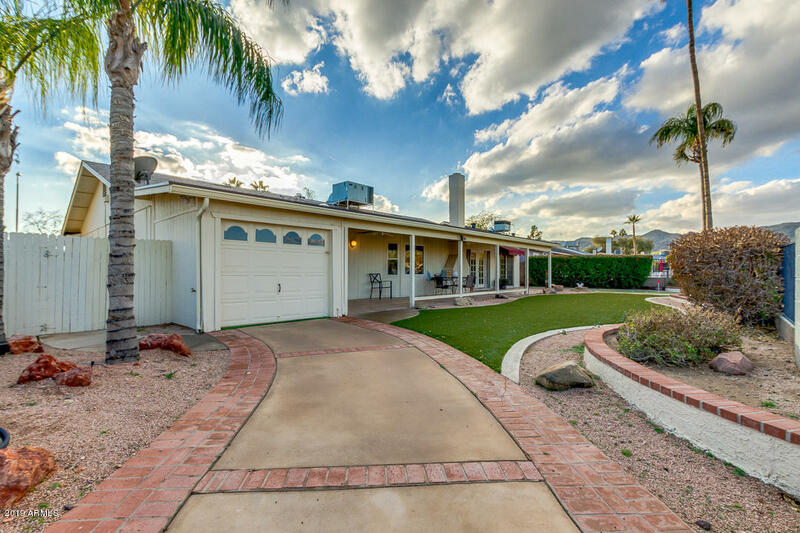 Living is easy in this impressive Single Level Home on a Golf Course Lot with Mountain Views! 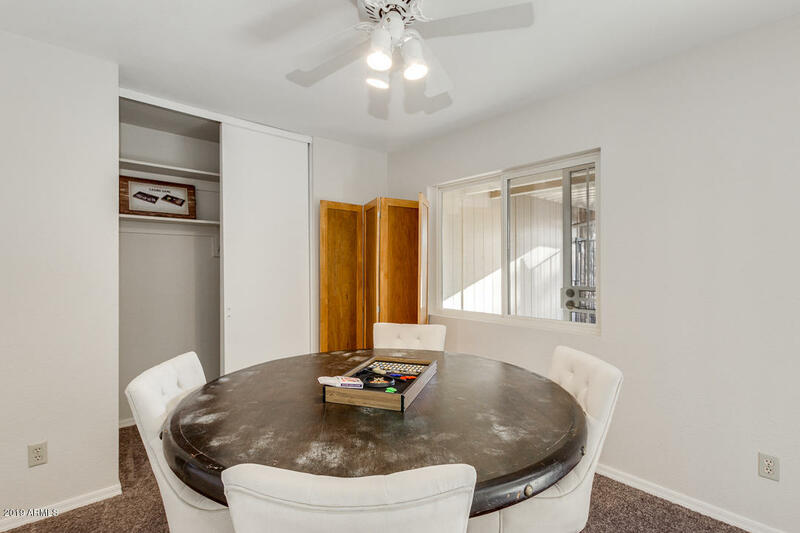 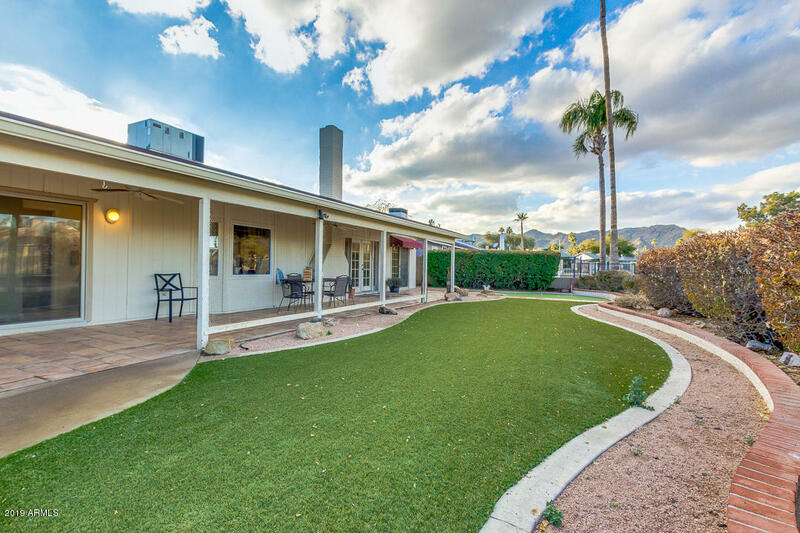 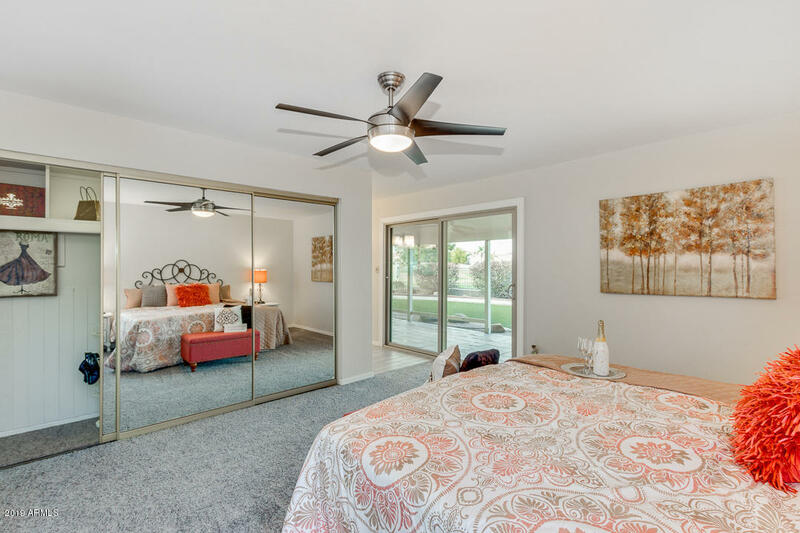 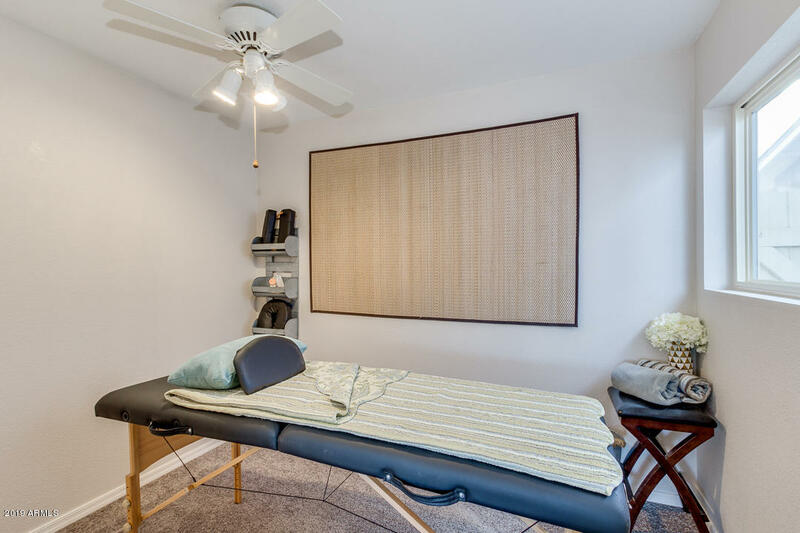 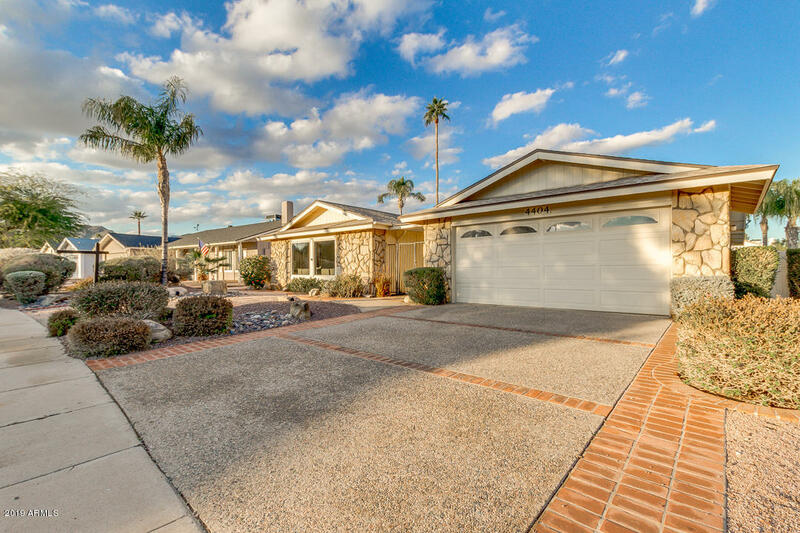 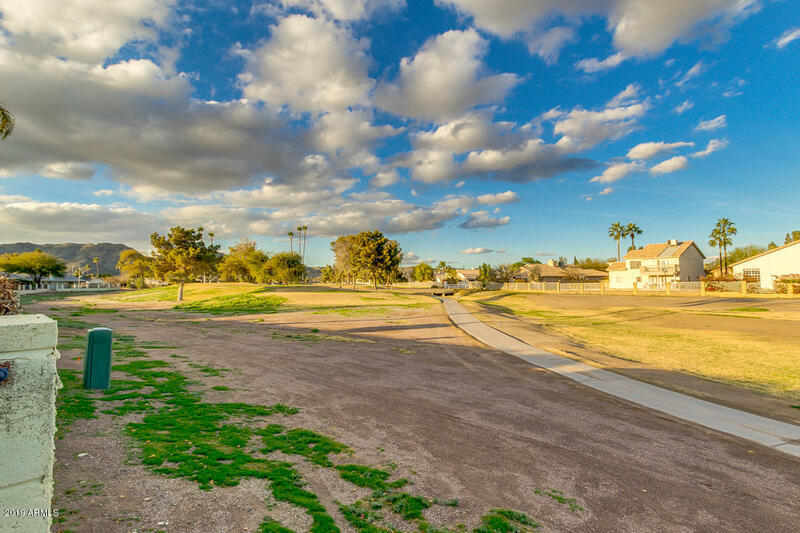 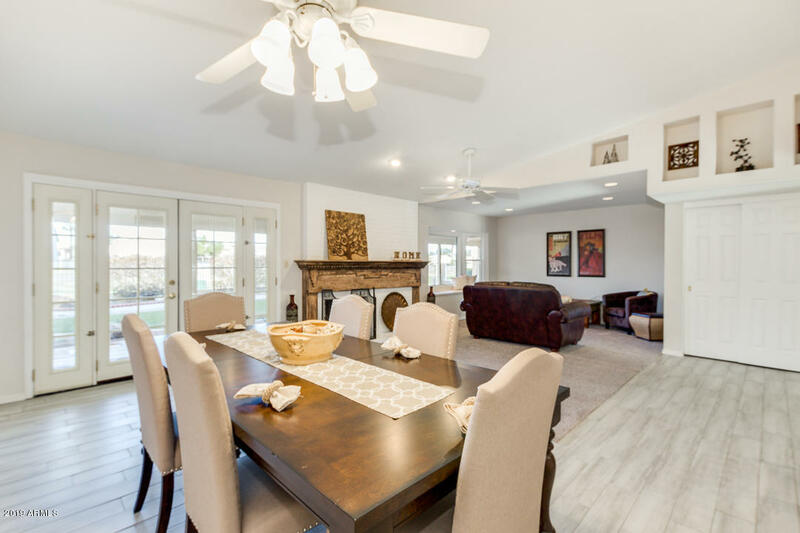 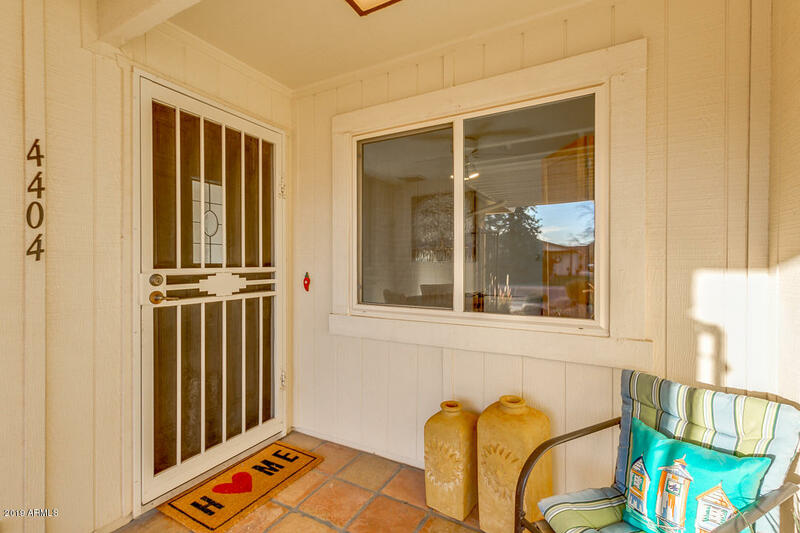 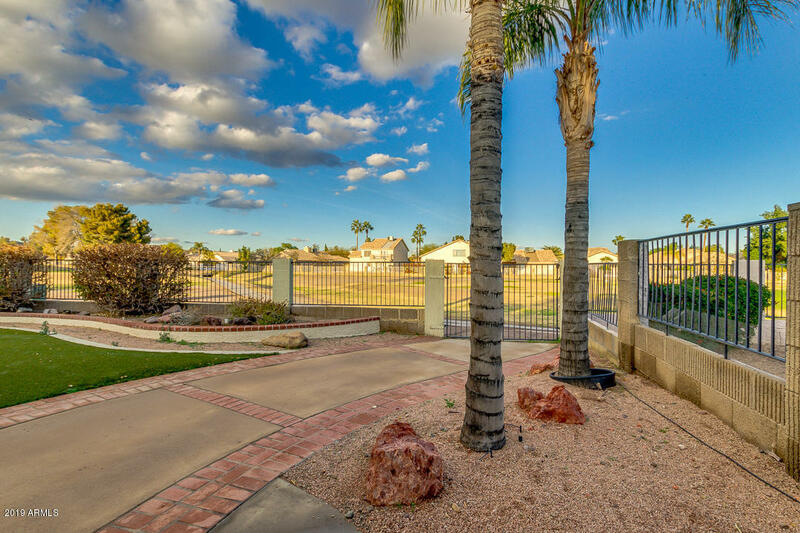 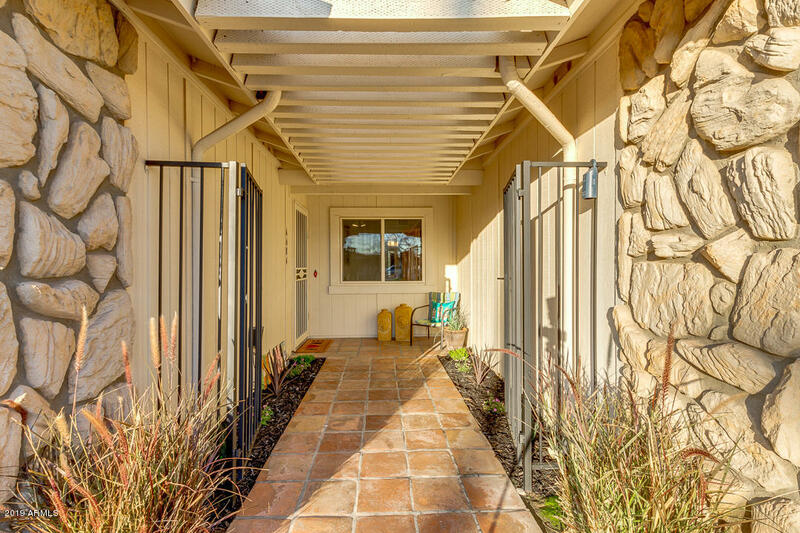 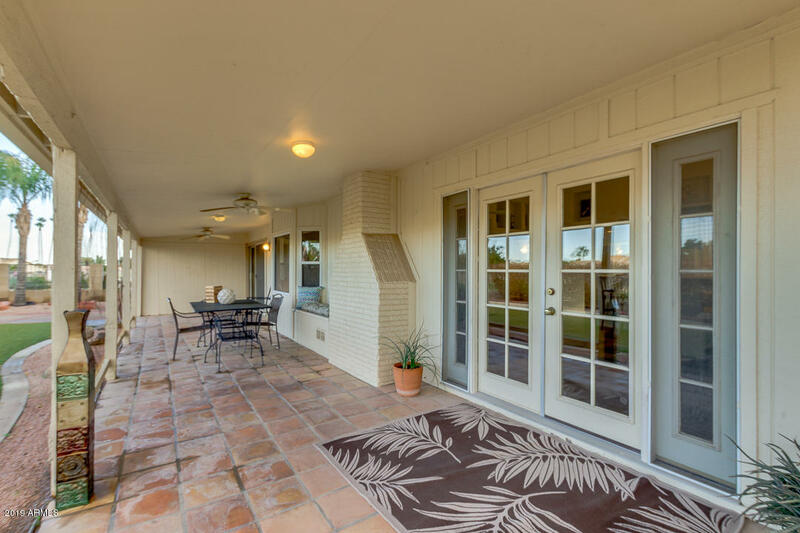 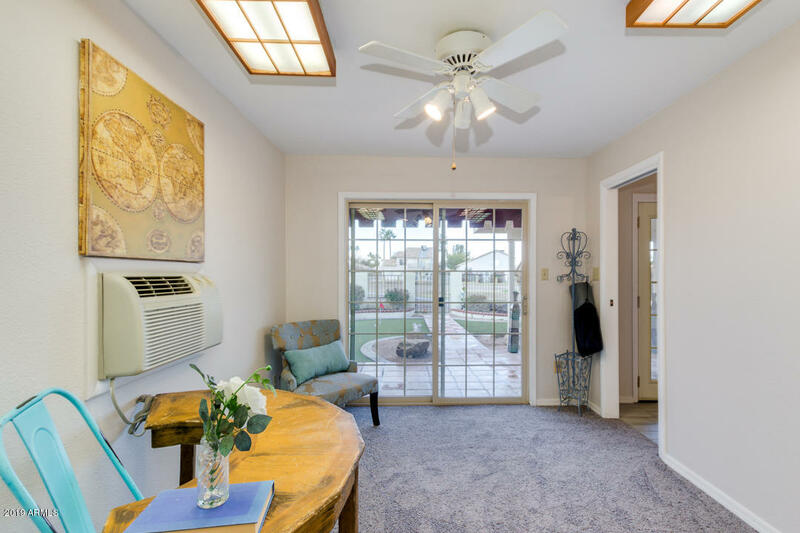 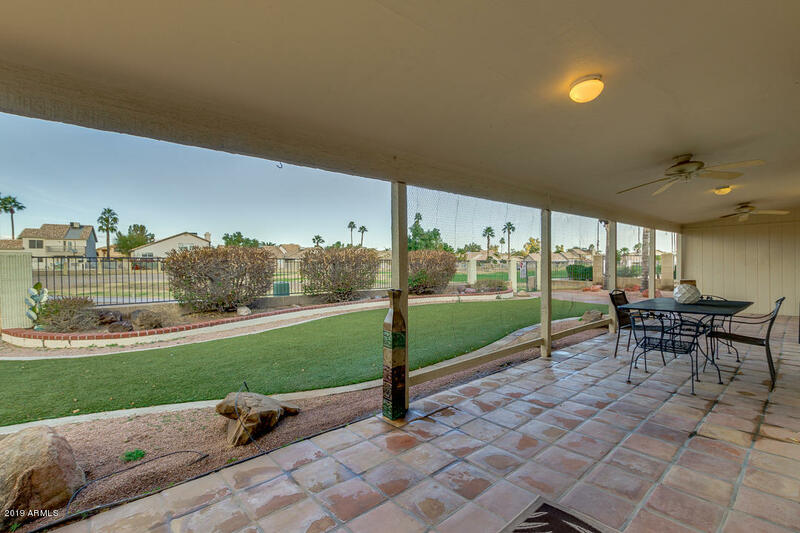 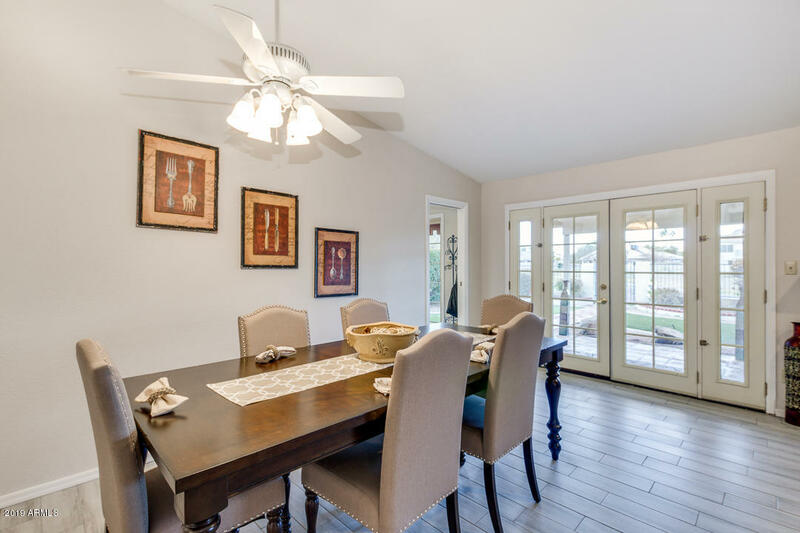 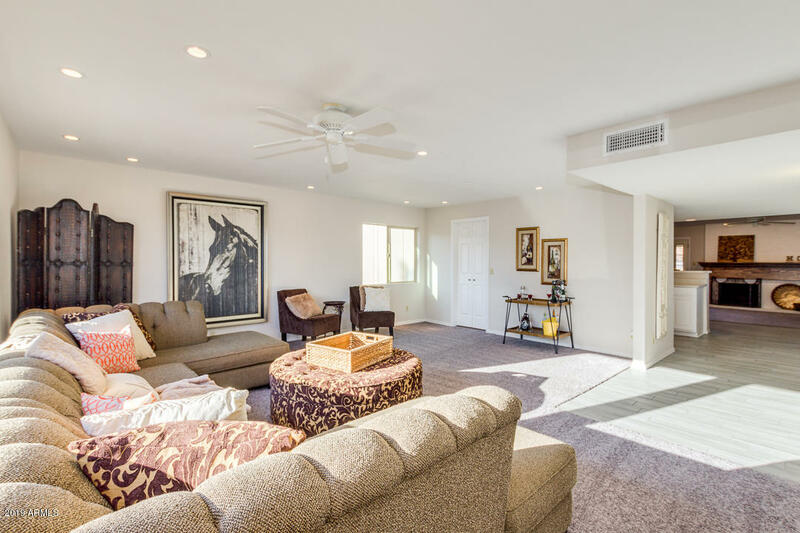 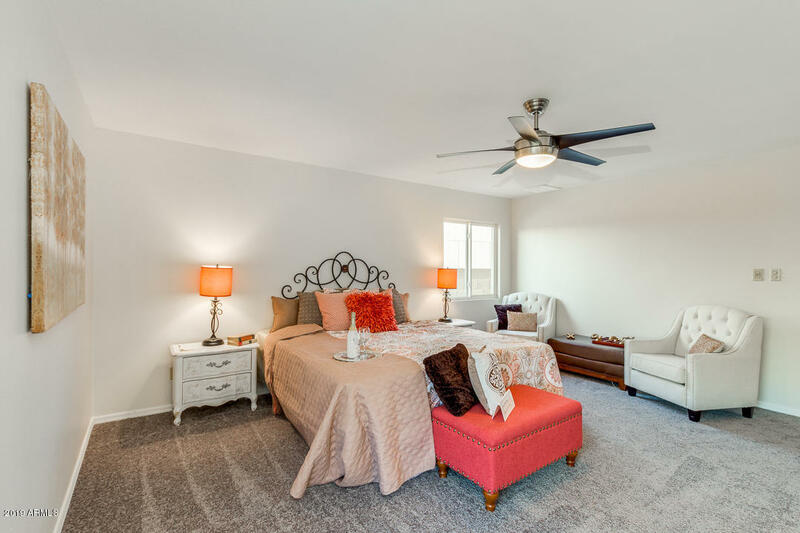 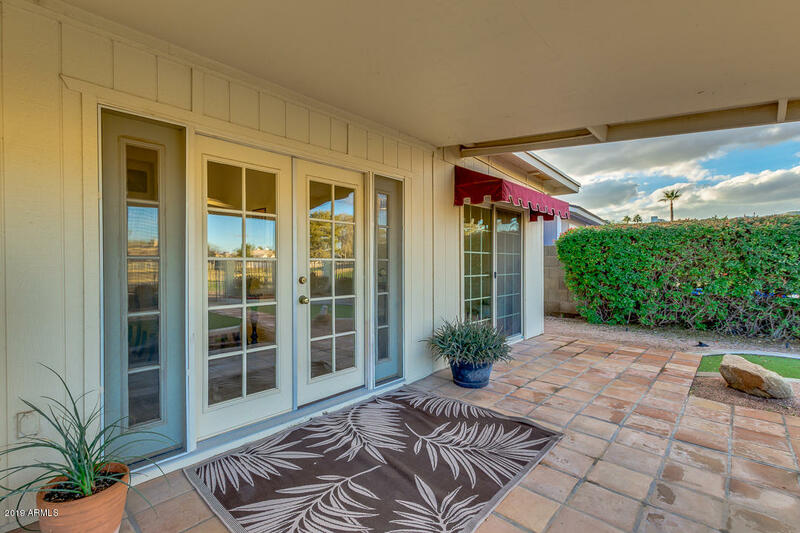 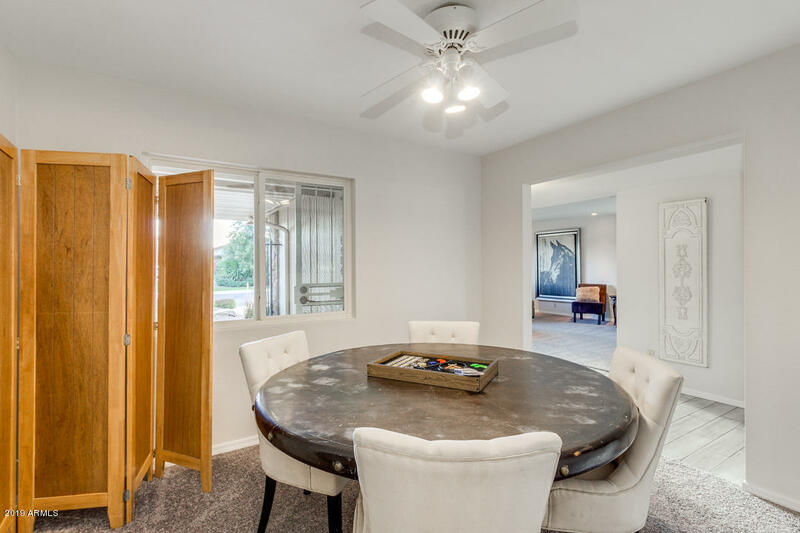 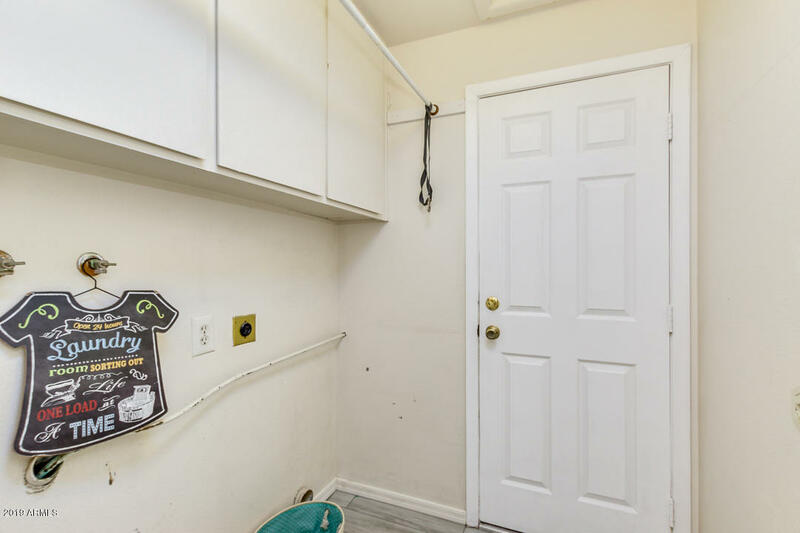 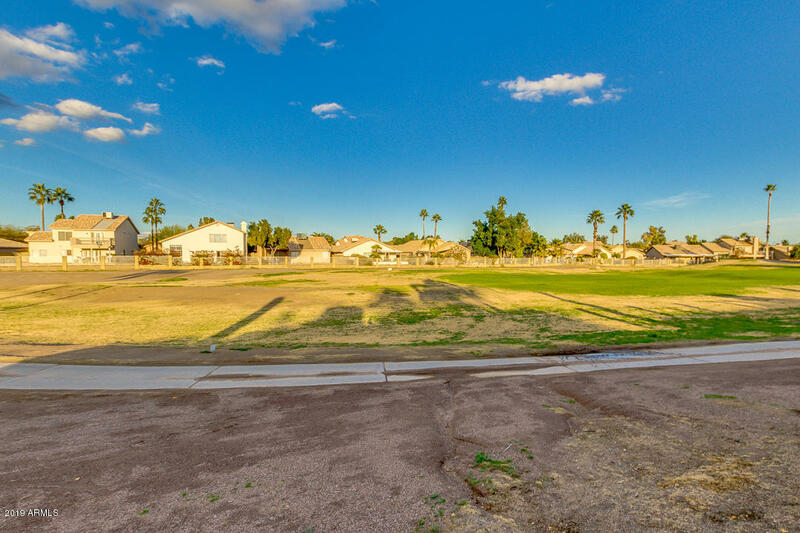 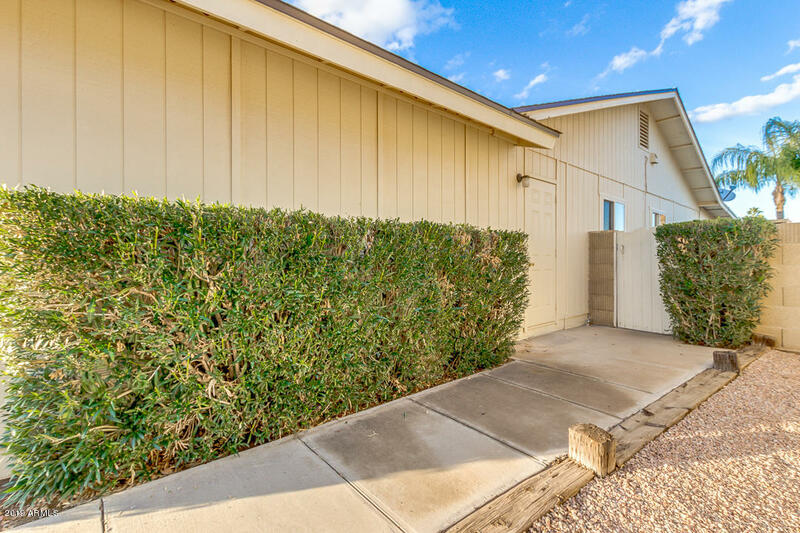 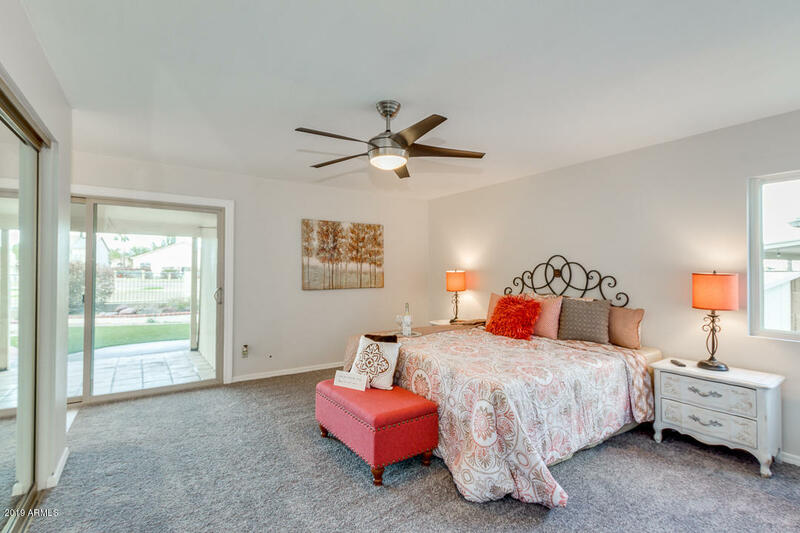 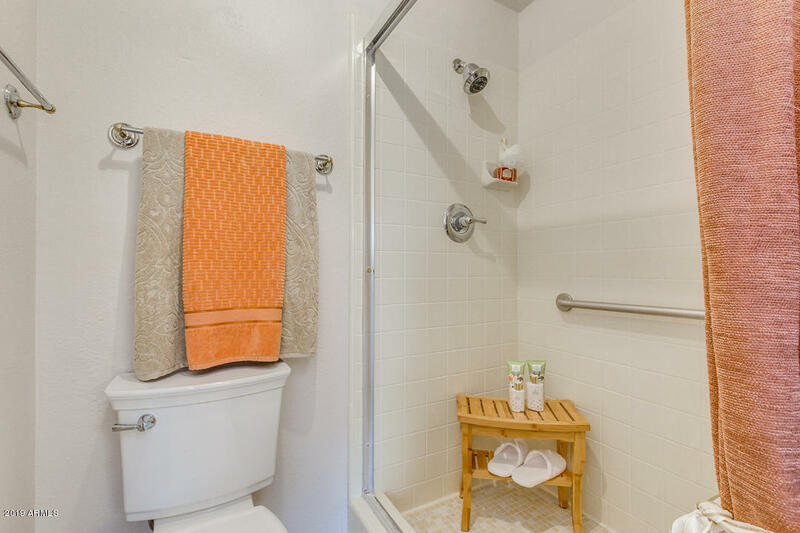 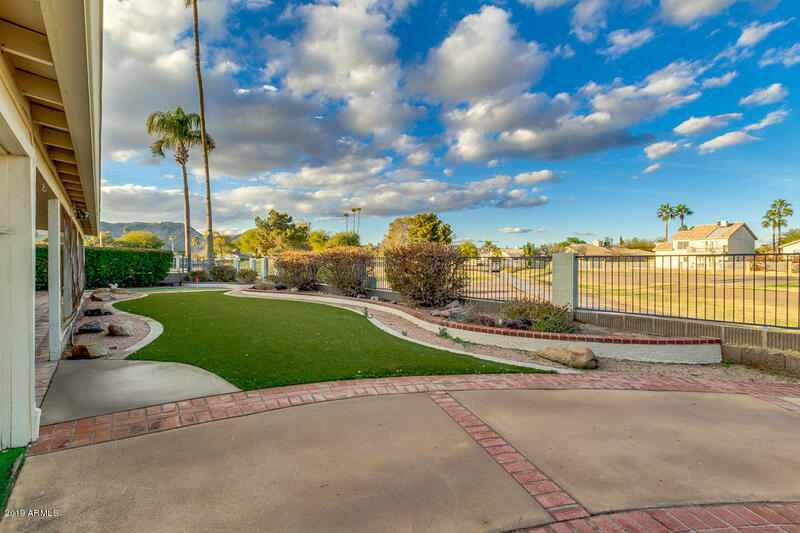 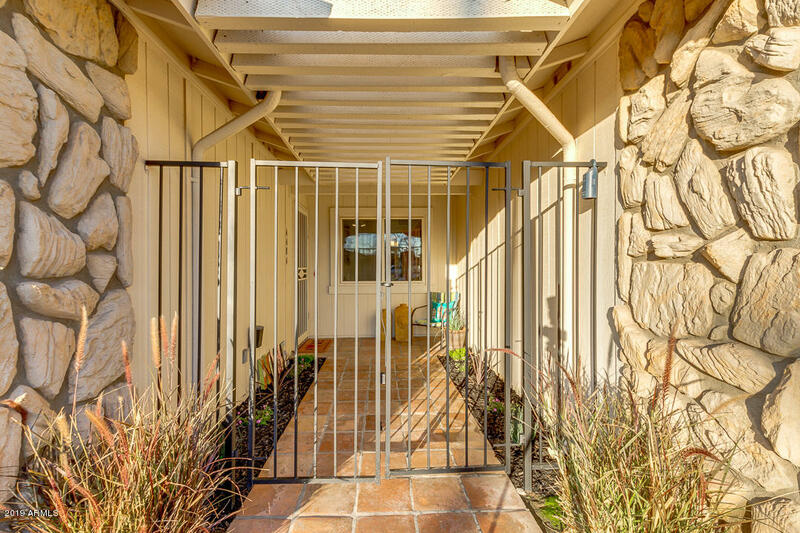 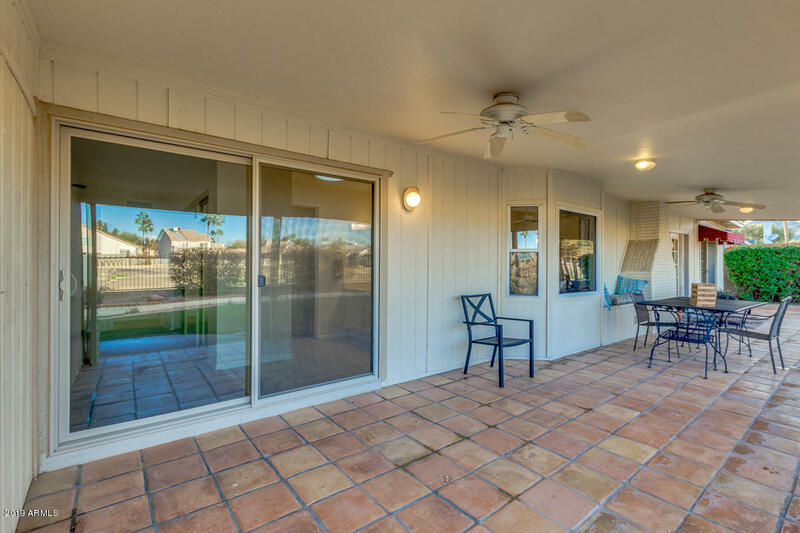 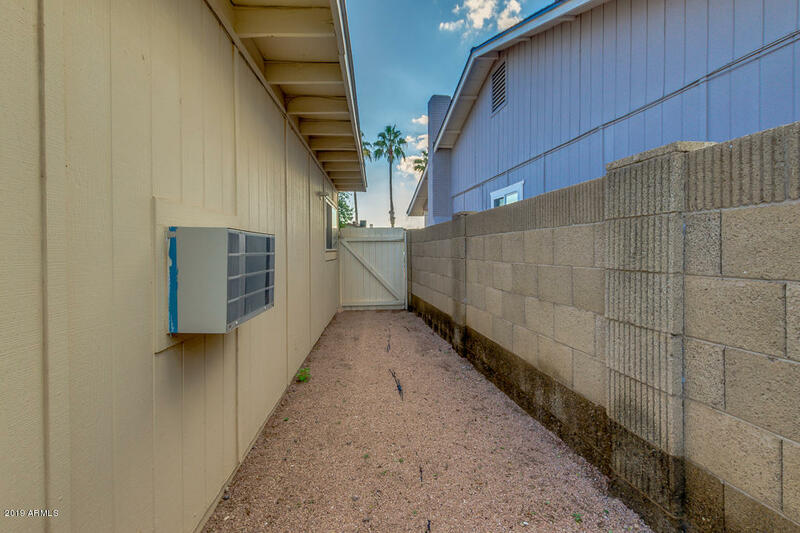 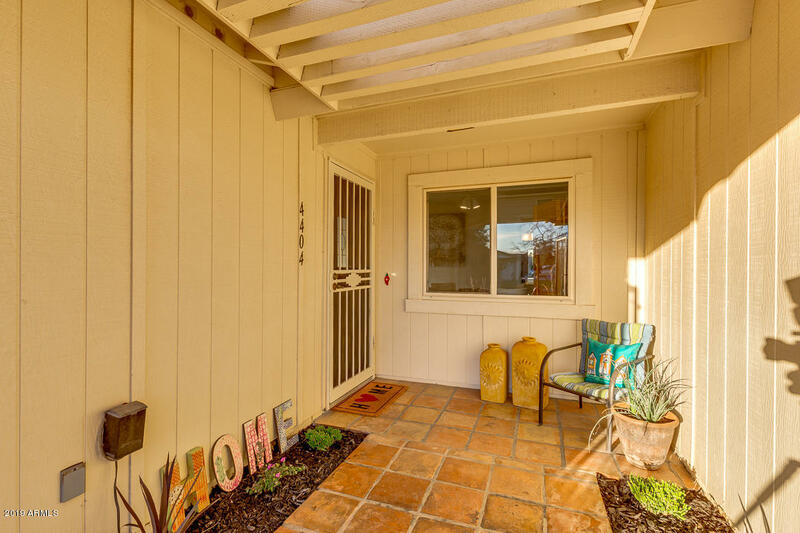 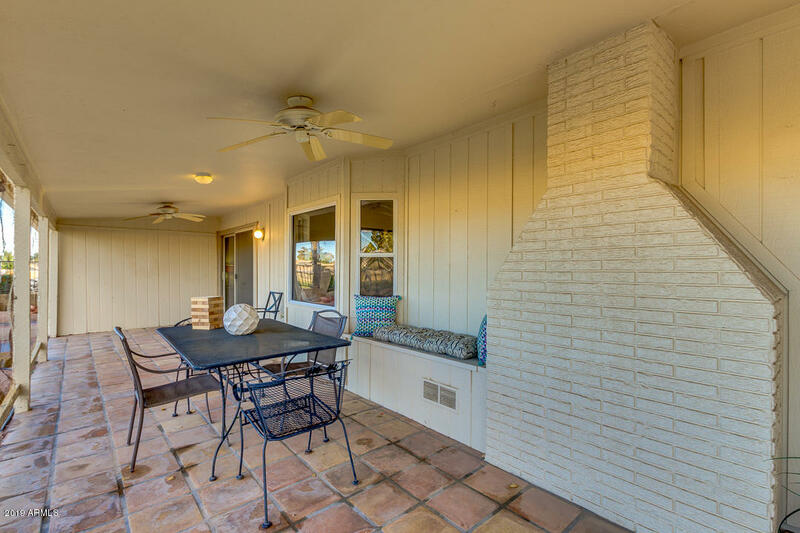 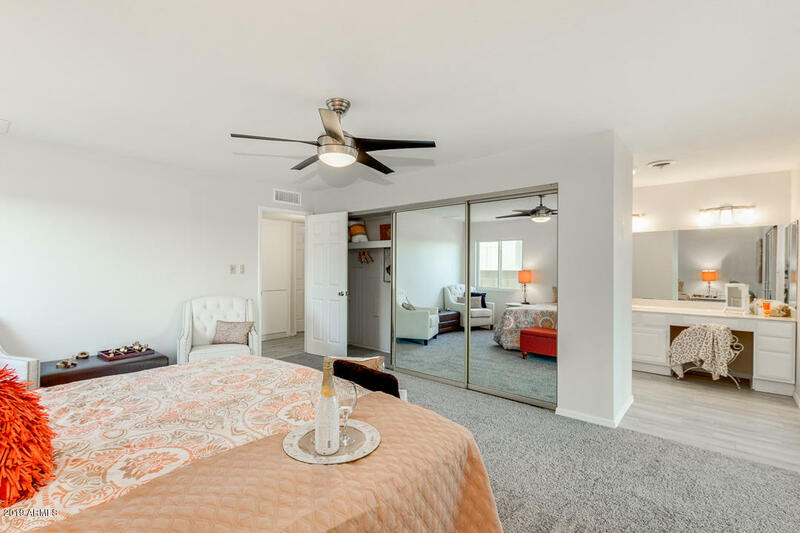 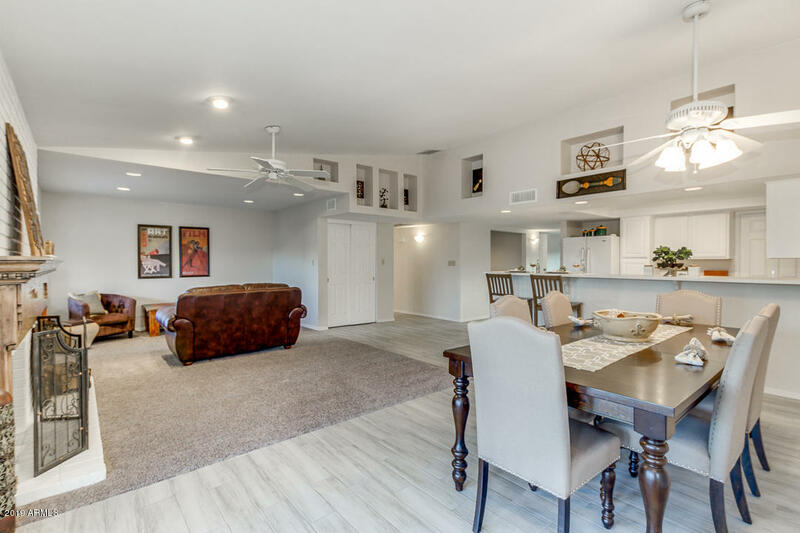 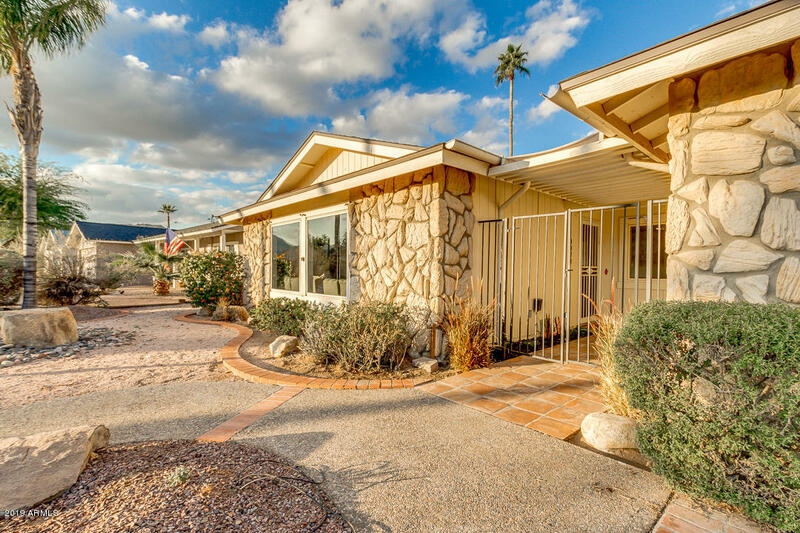 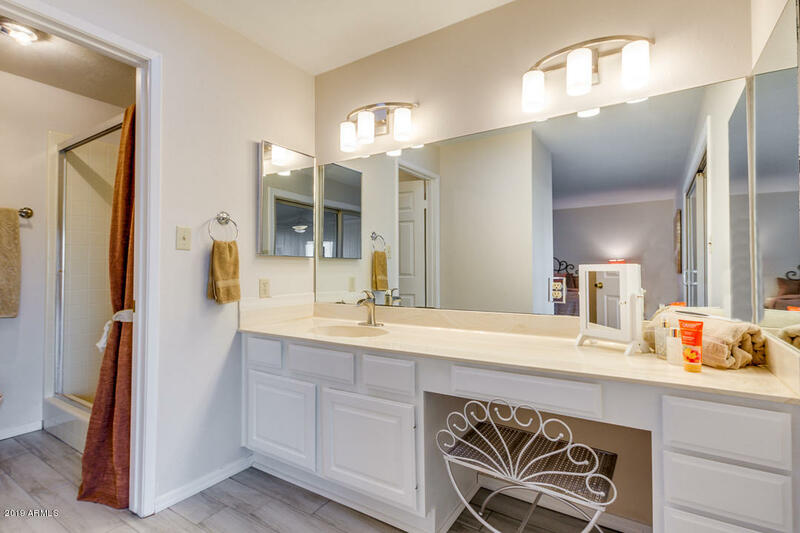 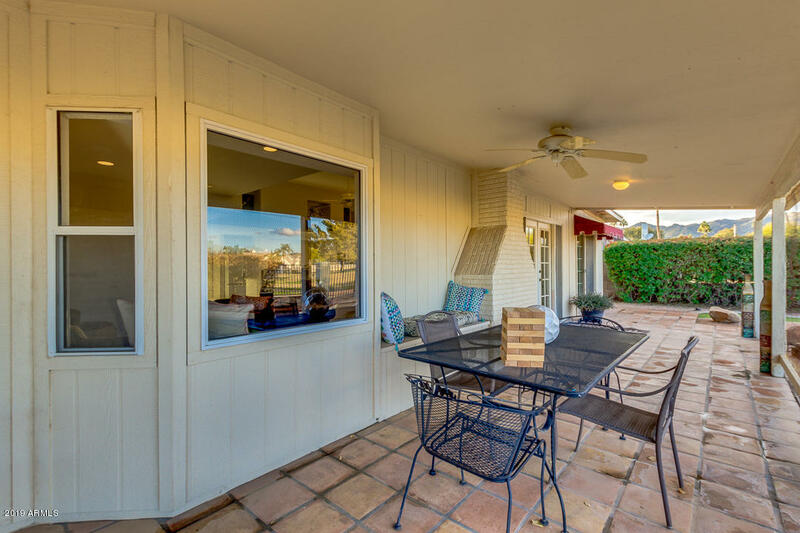 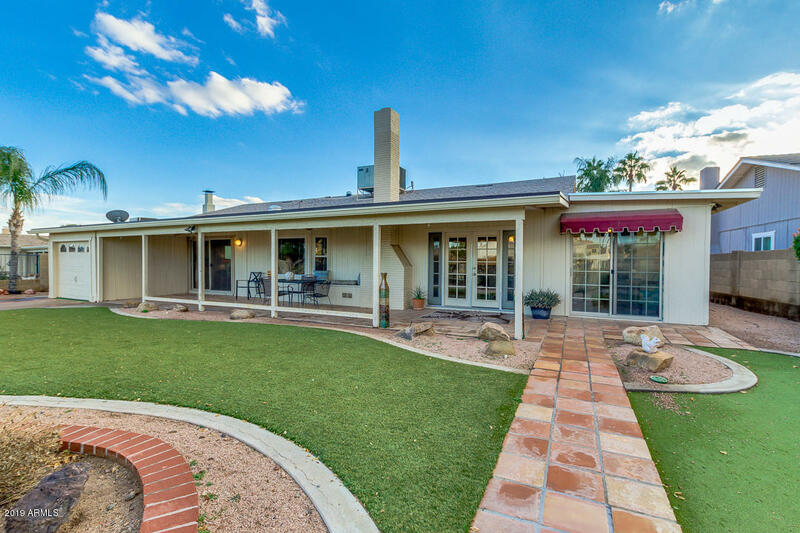 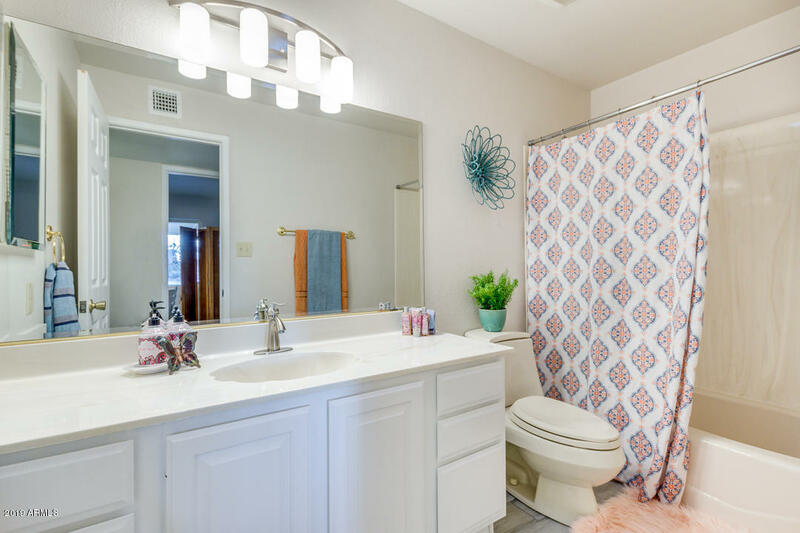 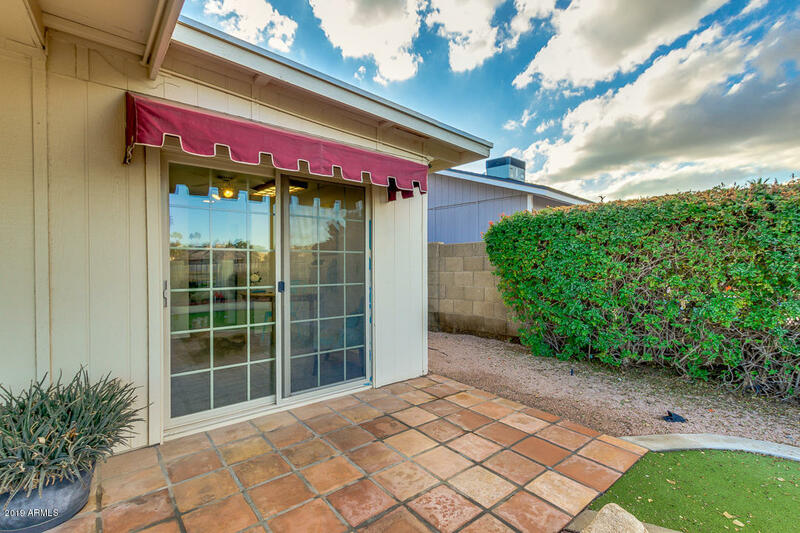 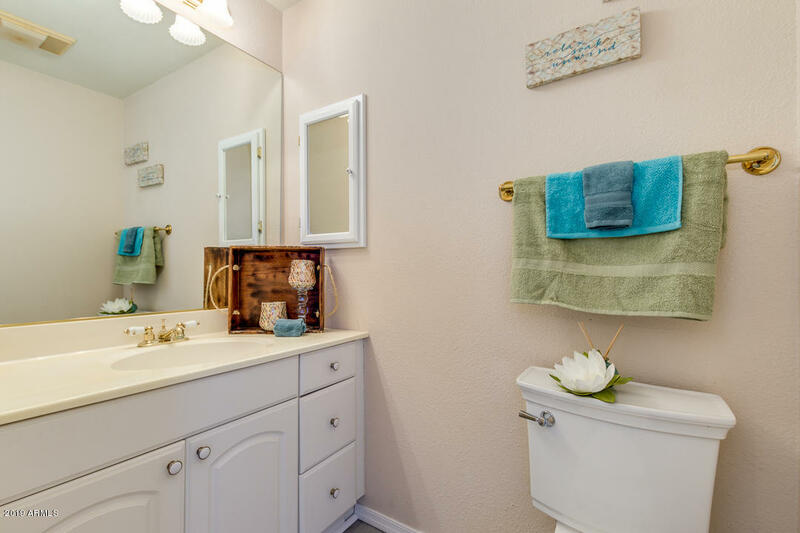 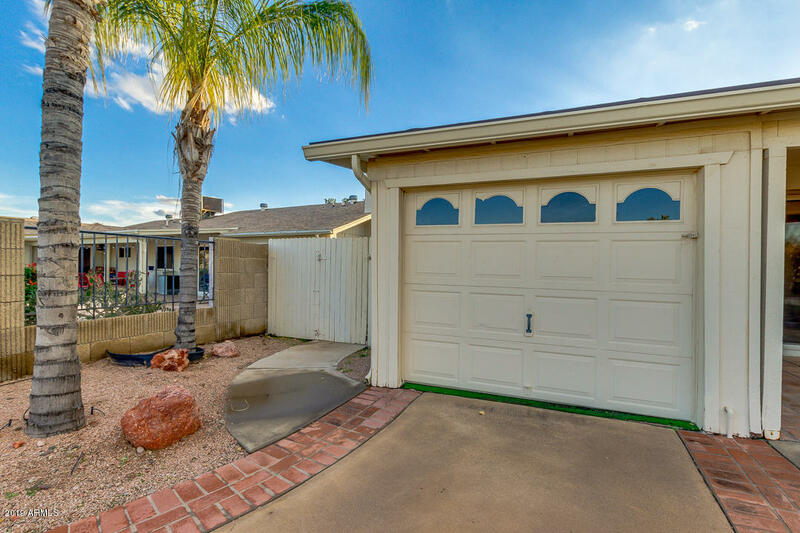 Nestled in the heart of Ahwatukee with ALL the attention to detail in ALL the right places. 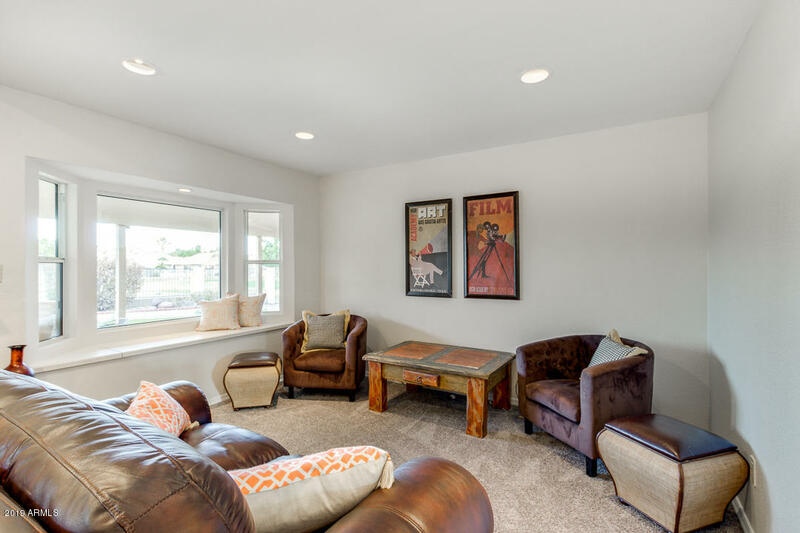 Remodeled with a Modern feel while keeping the original character. 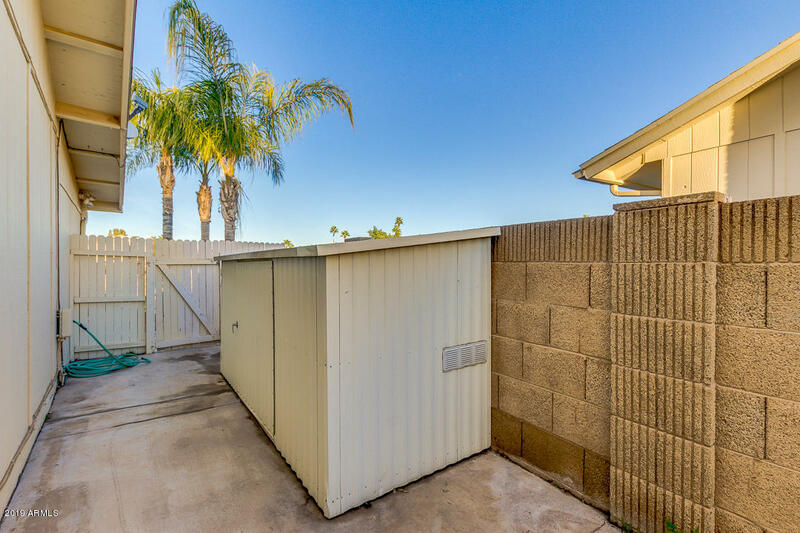 4 Bedroom 2.5 Bath plus Den/flex room with patio access and a private bath. 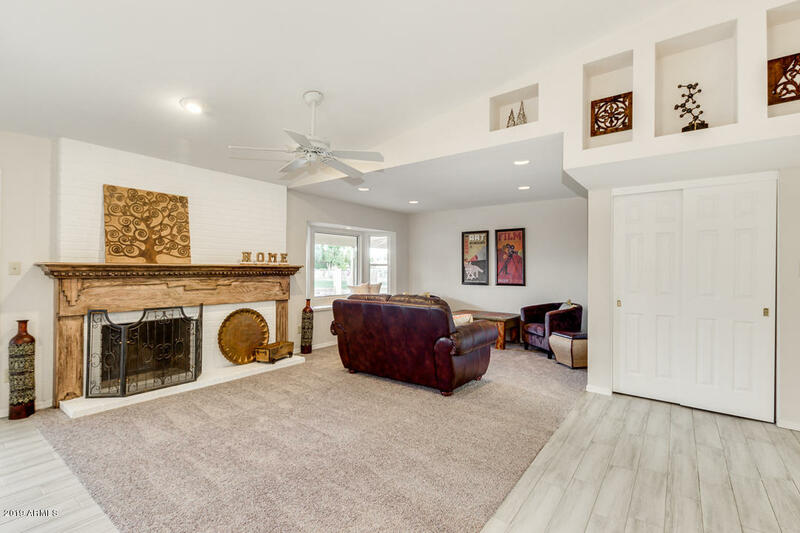 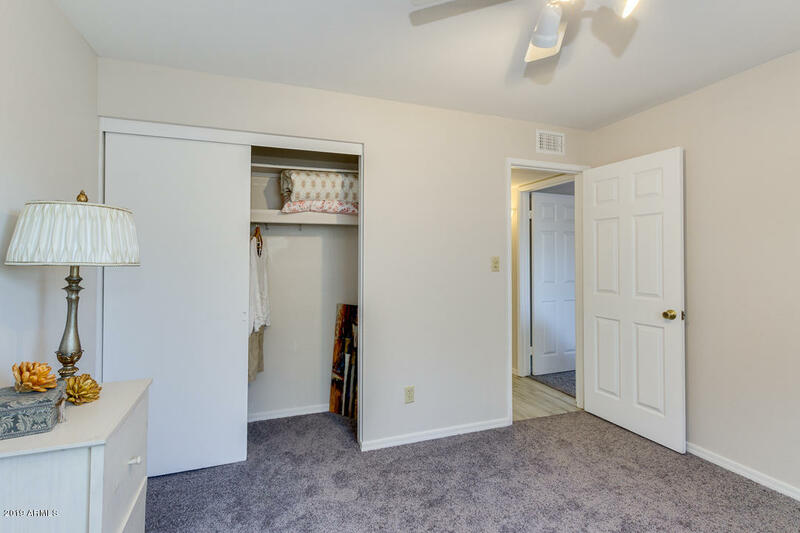 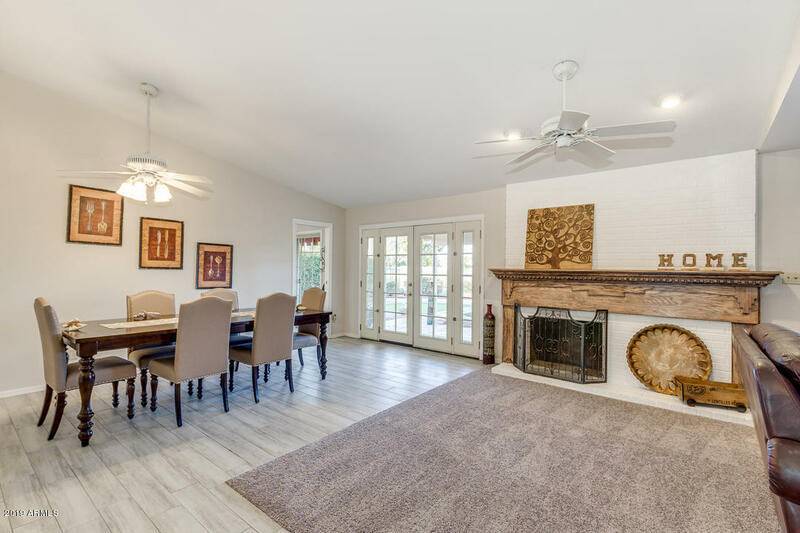 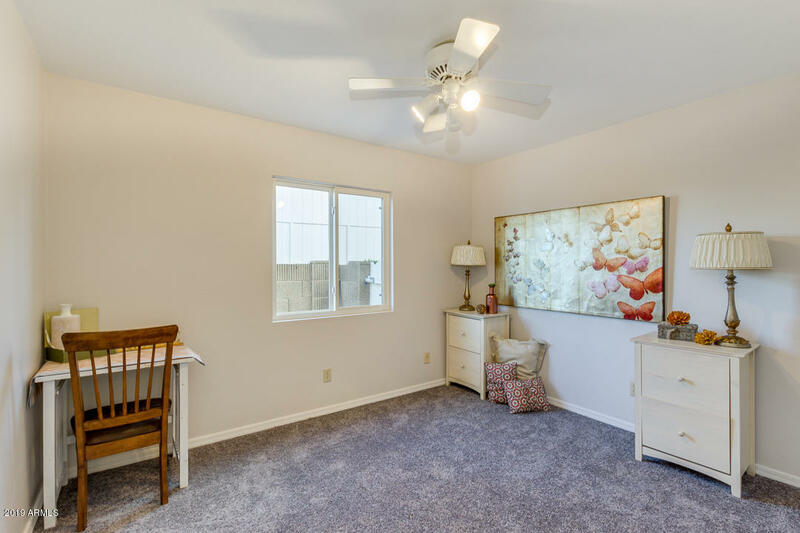 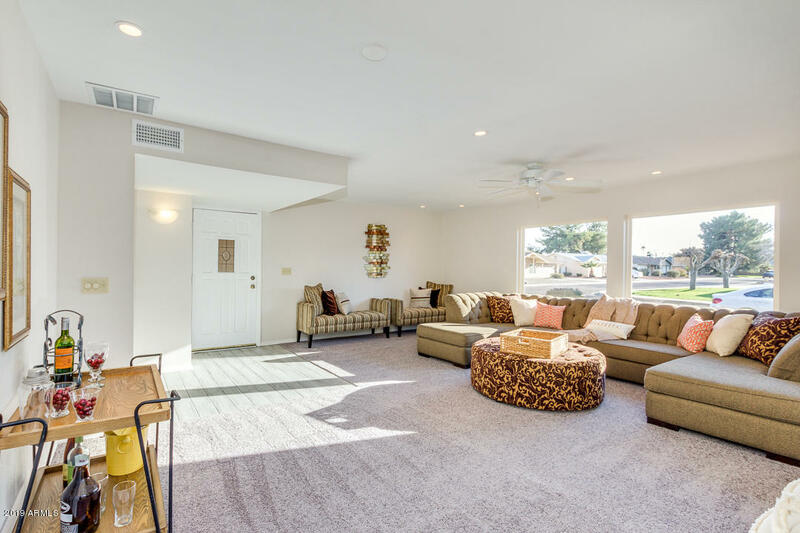 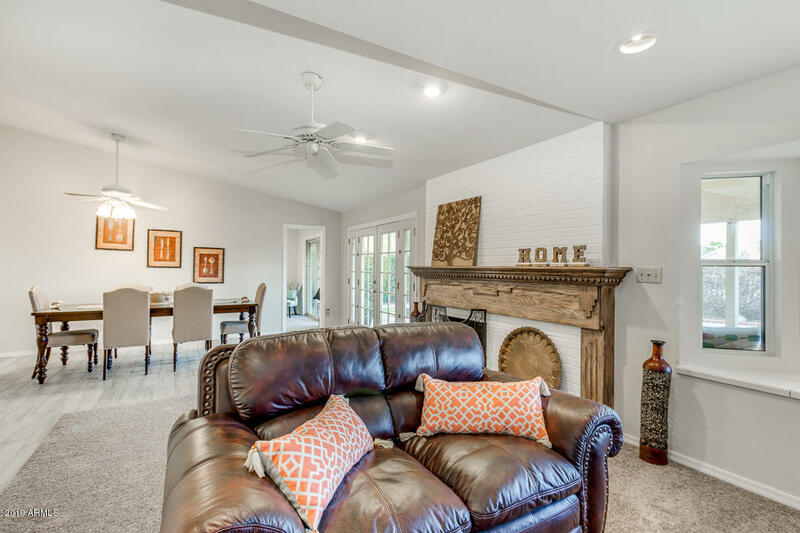 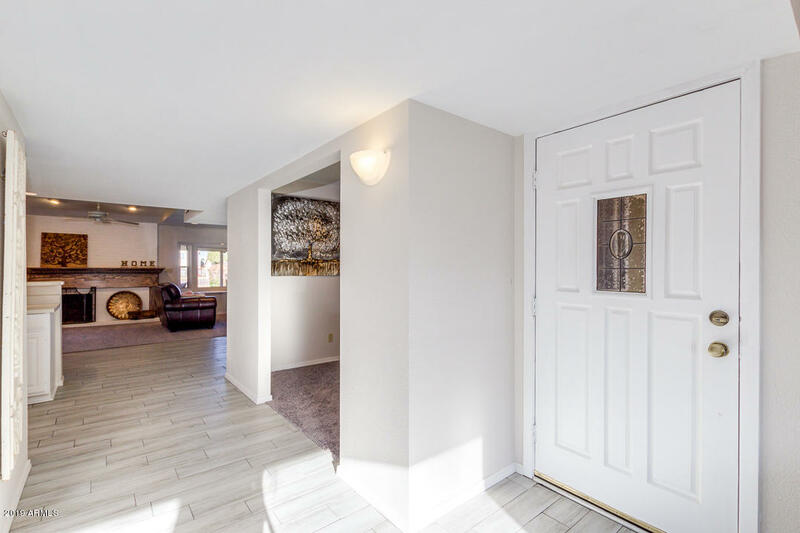 Walk through the front door and it's much larger than you'd imagine with vaulted ceilings, formal living room, formal dining room with butler door and a huge family room with Fireplace. 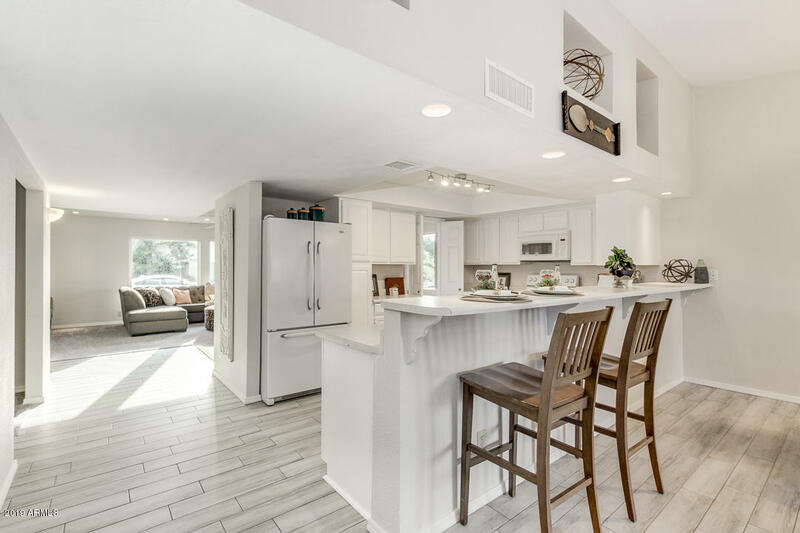 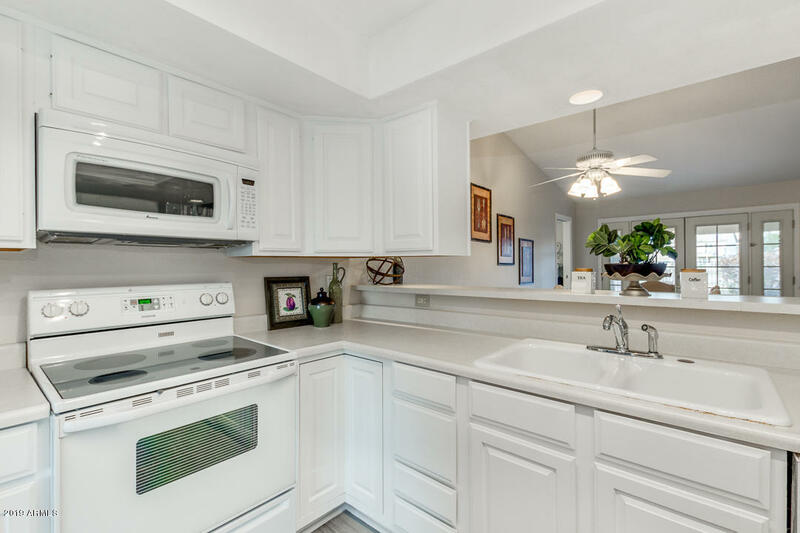 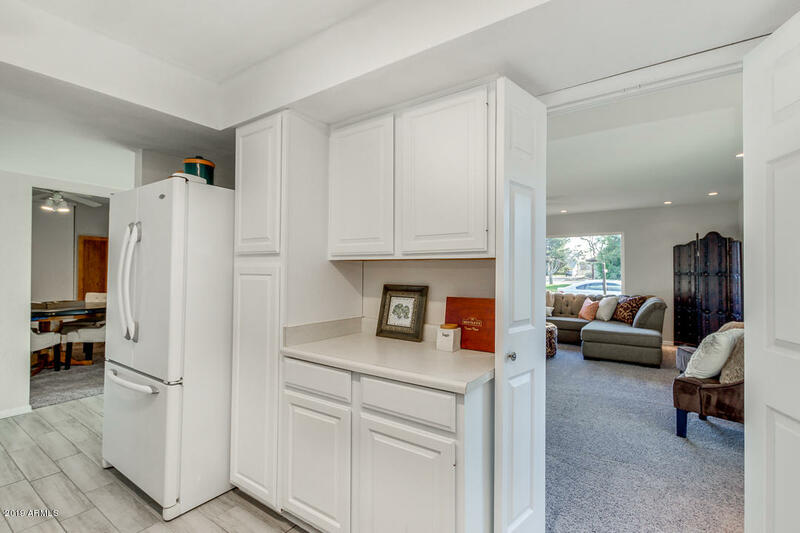 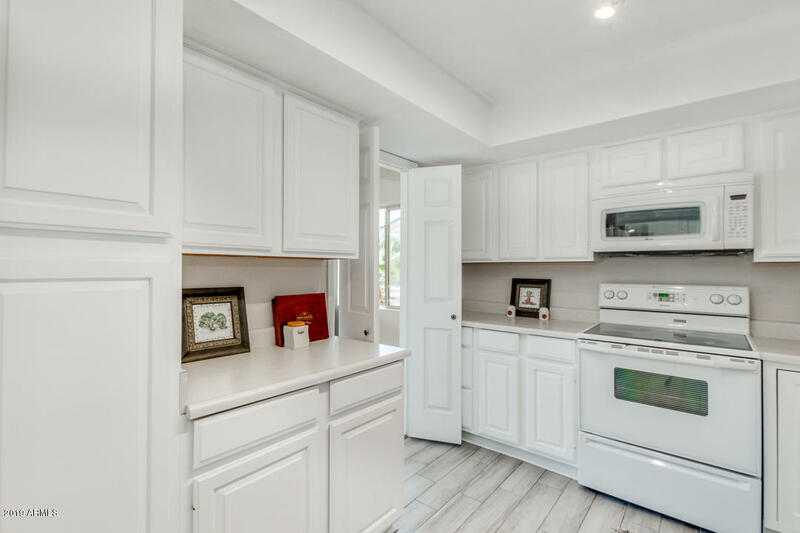 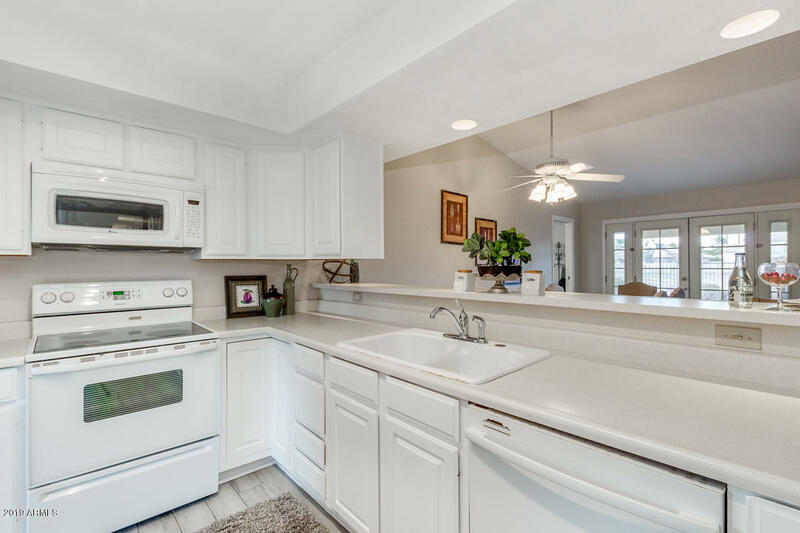 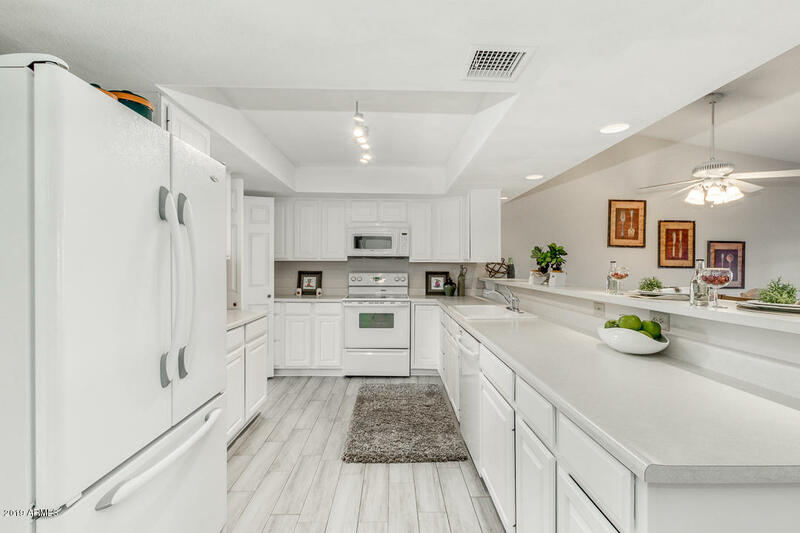 The Kitchen is the center of the home featuring a breakfast nook, white cabinets, tons of counter space and an oversized pantry. 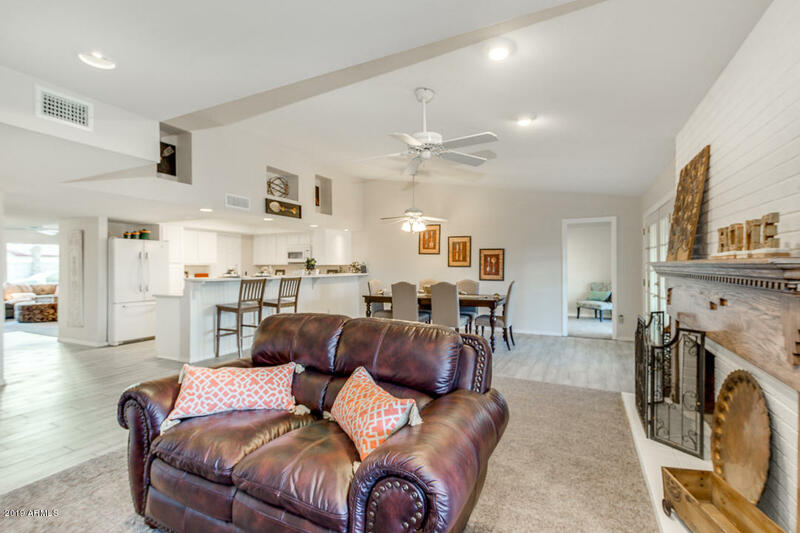 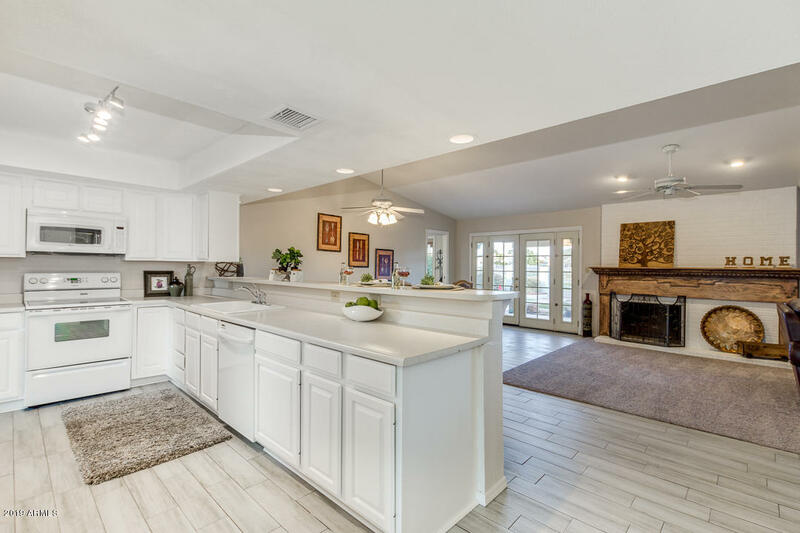 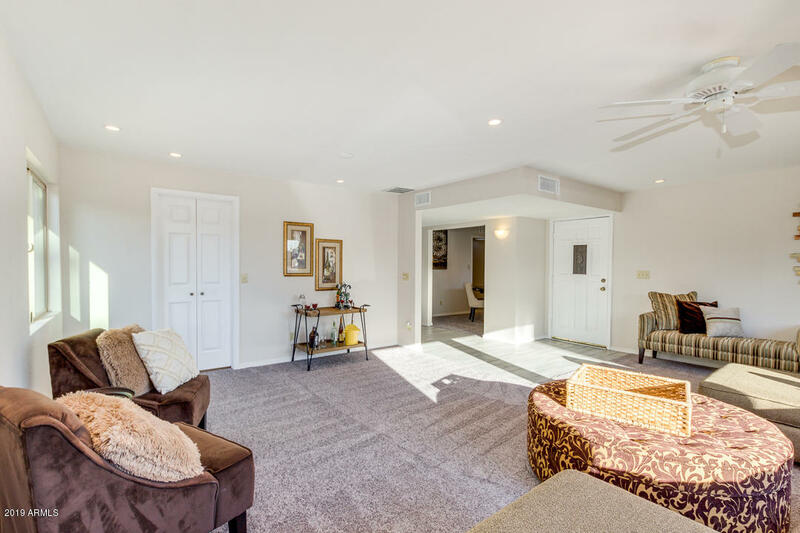 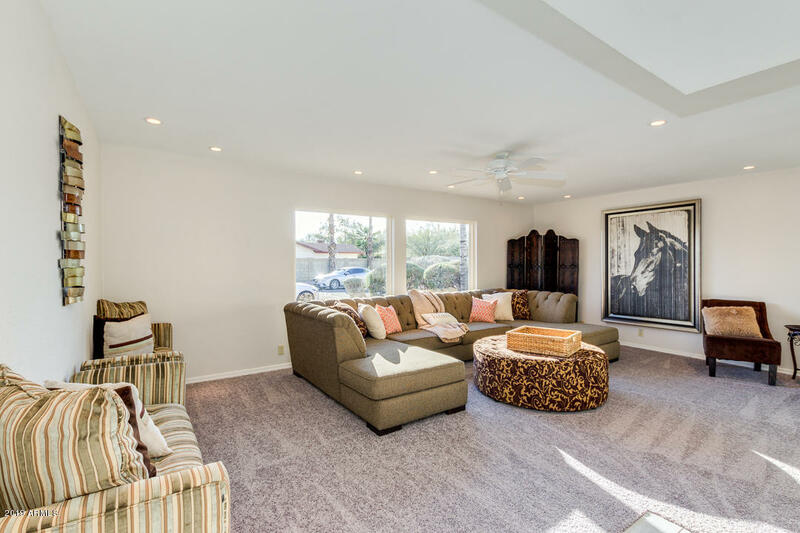 The Kitchen opens to a large Family Room, perfect for movie night! 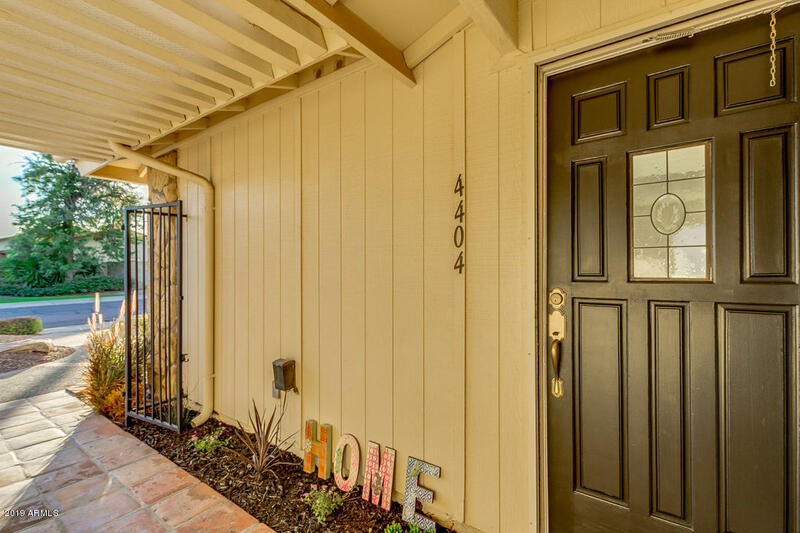 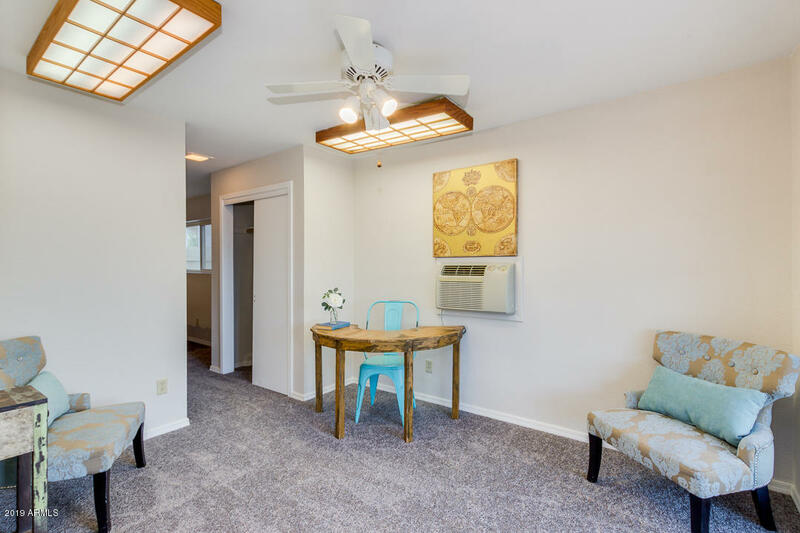 ALL NEW FLOORING, wood plank tile, NEW carpet, fresh paint and tons of natural light.